This piece is his first norse style piece. He mostly likes to work in crucible steel/wootz, so he chose to go that route. This blade is made up of a many different bars. The lighter sections are forged out and folded a few times and gives a more dense pattern to the steel. The middle bars are 400+layers of wootz/1075/15n20. 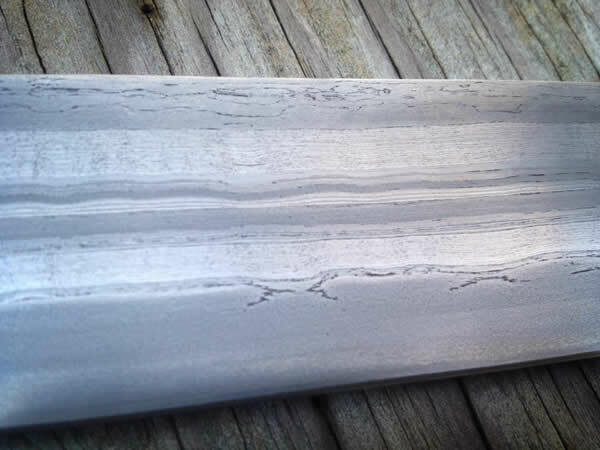 The darker sections of the blade are low layer crucible steel with either one or no folds. 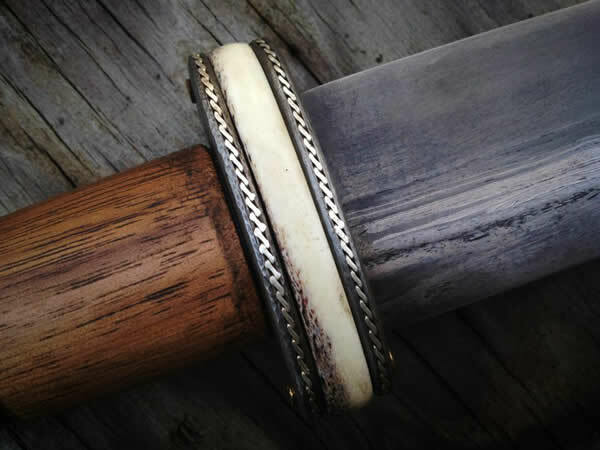 The overall length of this sword/seax is 27.5". The design is his own. A mix of a few different styles. The fittings are wrought iron with silver wire inlay. The wrought sandwiches antler with brass rivets holding them together. 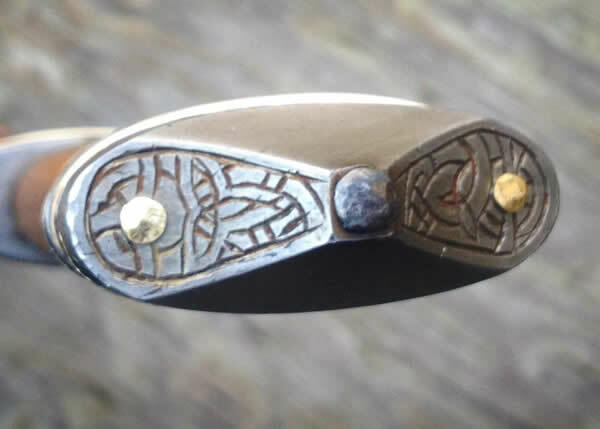 The "pommel" is hand engraved. 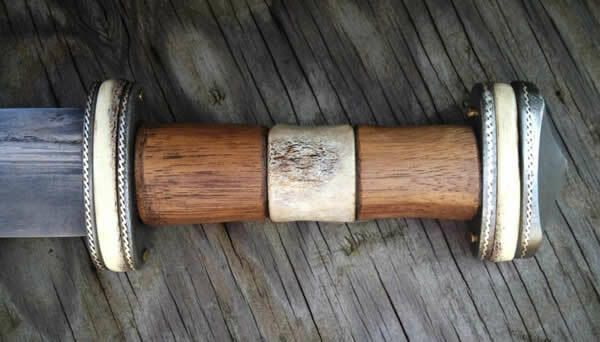 The handle is walnut with an antler middle section. For his first attempt at this type of piece, I am quite proud of him. He has a real drive about him and is never scared to tackle new processes. I will be sure to post some of his armour work as it is his true passion. I should add that this piece is currently for sale. As always questions and comments are welcome and thanks for looking! Hello! Is this still for sale? I'm rather interested in procuring a seax for a Rus'/Baltic Iron Age kit, and this is one absolutely beautiful blade. I simply love when one is able to see the subtle nuances in a blade, presenting themselves like the grain in wood. The handle, too, is... well... simply amazing. I would be proud to own such a thing. Lovely work here from Ilya Alekseyev, reminds me a bit of Petr Florianek & Scott Roush's style.